We are growing and looking for talented people to join the Burruezo & Burruezo team. The Litigation Attorney will utilize his or her legal training and experience to assist partners with handling of cases in pre-suit and litigation. Candidates should be interested in litigation and should possess excellent time management and organizational skills. Also, candidates must be capable of multitasking in a fast-paced deadline driven environment, and have excellent computer and writing skills. Strong interpersonal skills with the ability to work well in a team environment as well as the ability to effectively interact with attorneys is a plus. 8-10 years employment and/or trial experience preferred. The Flex Time Attorney will have the flexibility to work from home on most assignments. Assignments include discovery, research, case evaluation, and pleading drafting. 8 plus years employment experience preferred. The Litigation Paralegal will provide assistance to the attorneys during all phases of the litigation process, including but not limited to document management and review, preparation of discovery pleadings, and support during trial in Federal and State Court. In addition, the Litigation Paralegal will work closely with the Intake Team to ensure proper case development, client management, and communications with all parties involved in the case, (including opposing counsel, judges’ chambers, and state agencies). Knowledge of the Federal and State procedure and rules is required. 15 plus years experience preferred. Click here to apply for one of our open positions. HELP WHEN YOU NEED IT. 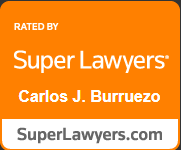 With more than 50 years of combined experience as attorneys, Burruezo & Burruezo, PLLC, is more than prepared to represent you in any employment law matter.